Capital Development Authority (CDA) is likely to lose its credibility amongst residents of the new capital as many of the new residential schemes that were launched with high claims are proving to be non starters. Two high profile projects, Park Enclave and Margalla Retreat, are a point in case. Park Enclave was launched with very tall claims and CDA had promised that the applicants would be handed over their plots within two years of developing the site. More than 600 people had applied for plots and CDA had collected close to Rs 2 billion from the applicants. But development work progressed very slowly, and over a year has passed from the date of the project launch. CDA, in September 2011, had launched Margalla Retreat in E-11. Known as the Northern Strip, it had started as a joint venture between CDA and a private construction company. The JV was challenged in the Supreme Court which held that under CDA rules, it could not enter into any agreement with a private party for the marketing of land, and that the private company should be paid its dues after settlement. The Affectees and Allotees Association of Margalla Retreat E-11 have urged the new chairman of CDA to take urgent measures to hand over possession of plots to the applicants. The association, formed two months back, met on Thursday and expressed dissatisfaction over the delay in the process of handing over possession of plots to the applicants. The Association, in a press release, said that there were a total of 58 applicants who had responded to CDA’s advertisement for the allotment of plots in the scheme. These include respected professionals and business people who wanted to build homes in Islamabad. This was the first time CDA had offered residential plots to potential customers at market rates with 40 percent advance payment. Given that the advertisements by CDA had promised that the sector was already developed, the applicants had deposited Rs 7.2 million each in the month of September 2011. They had hoped that CDA would be able to quickly complete the process of balloting and allotment of plots and genuine buyers, who wanted to construct their homes, would start construction soon. It has been nine months since September 2011, and during this period CDA has contacted applicants only once, through a letter, intimating them that their applications were under process. 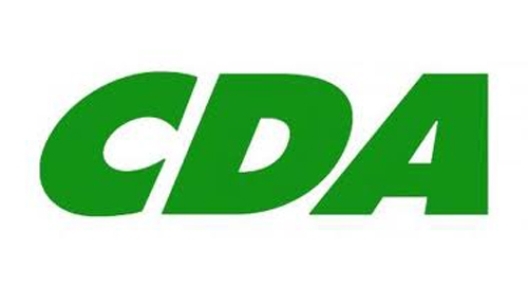 In January 2012, CDA announced through a newspaper advertisement that it was going start balloting and applicants were invited to witness the process. But the balloting process was cancelled on the day it was to be conducted. Later it was learnt that CDA was stopped through an injunction by the Islamabad High Court. Since then people have been waiting, but the CDA has been ignorant of their plight. The affectees include many retired government officials, professionals and widows who had deposited their life savings in Margalla Retreat E 11, in the belief that CDA would not keep them waiting for months in a scheme that was already developed. Credibility issues with CDA would persist until its governance substantially improves to be bold, transparent and above all inclusive. Currently suffering from top-down approach its policies & projects lack public interest and ownership and often meet limited success.